From the ashes of plague rose a new city. 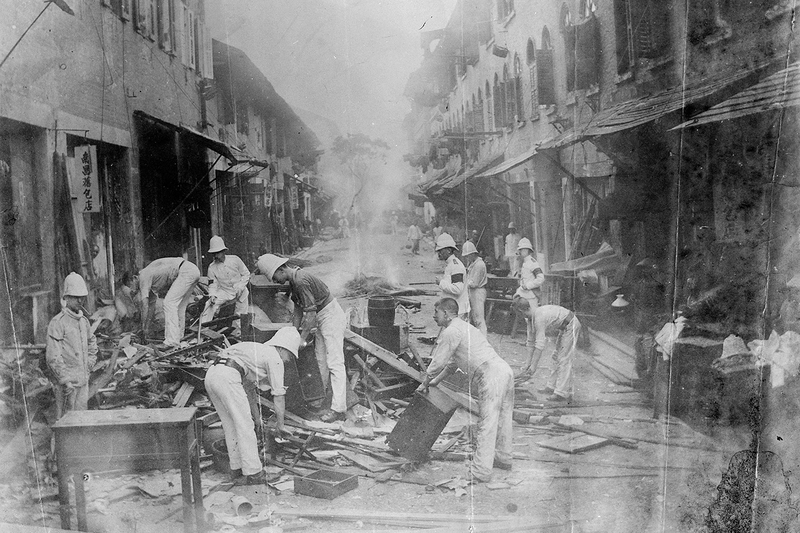 After the bubonic plague swept through Hong Kong in 1894, the British colonial authorities determined that squalid, overcrowded living conditions were to blame. Soldiers in a so-called “whitewash brigade” went door to door, burning furniture and wooden cocklofts. By the end of the year, the Legislative Council had determined that 384 houses in Tai Ping Shan — the most affected district — should be demolished. What replaced them was an orderly grid of streets punctuated by Blake Gardens, Hong Kong’s first public park. Overlooking the garden was a handsome red brick building dedicated to eradicating the plague once and for all: the Bacteriological Institute. Today, the Bacteriological Institute has become the Museum of Medical Sciences, a privately-operated museum housed inside the government-owned building. It’s not one of Hong Kong’s most obvious attractions, but it rewards the curious visitor with some fascinating details about the city’s medical history, along with some dioramas and artefacts that are at turns charming and creepy. 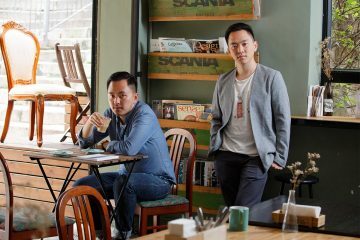 Increasingly, the museum is branching out beyond the medical world, lending its century-old premises to contemporary artists. Last year, Chinese artist Zhang Yanzi began a residency at the museum, haunted by the story of a story of a surgeon found dead in front of the old laboratory. This year, French artist Daphné Mandel will use the museum as a base for exploring the future ruins of Hong Kong. “A lot of people know the building but don’t know what’s inside,” says the artist, who began her career as a landscape architect. Always attuned to the layers of Hong Kong space, she turns the city’s built environment into whimsical montages that suggest an alternate urban reality. The museum is a testament to an alternate reality of its own. 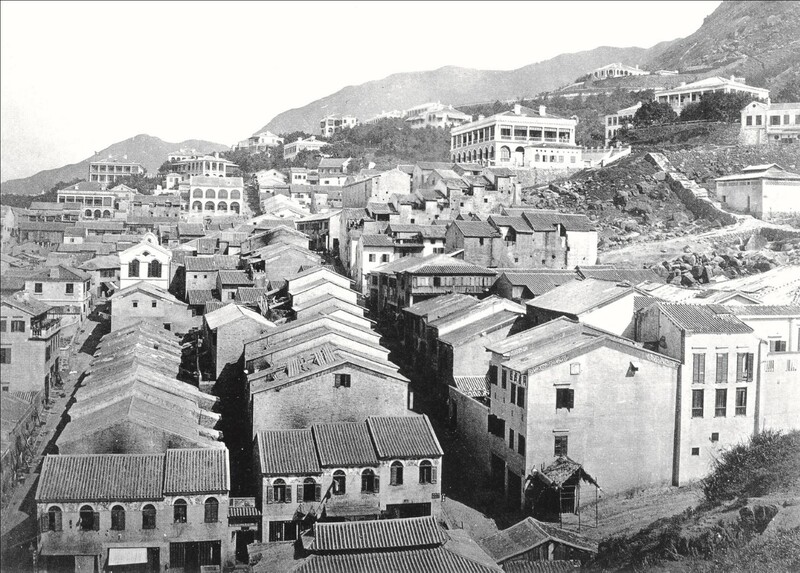 In the early days of colonial Hong Kong, European colonists lived in spacious quarters in the city’s most well-to-do neighbourhoods, while Chinese migrants from the mainland were forced to live in teeming slums like Tai Ping Shan. Tai Ping Shan was a lively place with pitched-roof stone houses and a public market, but it was also filthy. Several families were crowded into each room and there were no indoor toilets. Every night, women collected “night soil” from each house and walked it down to the harbour, where it was collected by waiting junks for use as farm fertiliser in China. Where there is human waste, there are rats – and it is rats that carry Yersinia pestis, the bacteria that causes the bubonic plague. When the world’s third major outbreak of bubonic plague made its way from Yunnan to Hong Kong in 1894, Tai Ping Shan was hit the hardest. More than 3,500 people died. The loss of human life was devastating, but it was also an opportunity to finally discover the source of the plague. When the epidemic reached Hong Kong, Swiss-born bacteriologist Alexandre Yersin was sent to investigate its source. He became the first person to identify the pathogen that caused the disease. It’s because of his research in Hong Kong that the plague — a terrifying force that had wiped out vast populations in the Byzantine Empire, medieval Europe and 19th century China — was reduced to a treatable illness. The Bacteriological Institute continued Yersin’s work when it opened in 1906. At first, researchers in four laboratories dissected rats and examined them for plague until 1923, when the disease was finally wiped out in Hong Kong. Drinking water and dairy products were all examined for contamination, and vaccines were developed for smallpox and other diseases. By the 1960s, however, research activities moved elsewhere and the building was used for storage by the Department of Health. It was finally declared an historic monument in 1995. That’s when a group of doctors banded together to open the museum. Visitors today are greeted by exhibitions on the 2003 SARS outbreak and the history of medicine in Hong Kong. In the basement, a bovine mannequin lies on a vintage wooden bed as two doctors inoculate it against cowpox. Upstairs, another pair of mannequins perform experiments while dressed in Qing Dynasty (1644-1912) clothing, with partially shaved heads and hair branded into long queues. There are exhibits on Chinese medicine and a medicinal herb garden. Half of the fun is simply exploring the historic building, with its elegantly tiled balconies, stained glass windows and Chinese-style tiled roof. It’s these details that first caught the eye of Daphné Mandel. Although she had passed by the building many times, she went inside for the first time last August. She was charmed by the architecture and the homespun feel of many exhibits. “It’s hard not to fall in love with this place,” she says. Mandel’s exhibition, Still Life Comes to Life [Hong Kong Vanitas], opens December 7 in the museum’s annex. Mandel is an avid hiker and she found herself fascinated by the way manmade objects — tile picnic tables, concrete drainage channels, stone staircases — have been absorbed into the humid, mossy jungle of Hong Kong’s country parks. “When I first came to Hong Kong, I wouldn’t figure out what was real rock and what was fake rock,” she says. She decided to treat them the way Cézanne treated baskets of fruit. 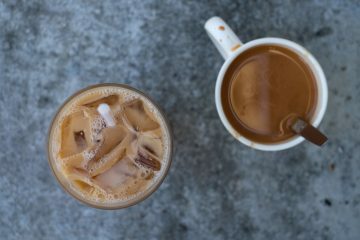 “I love the idea that everyday objects can be set up in such a pompous way they become noble and precious,” she says. 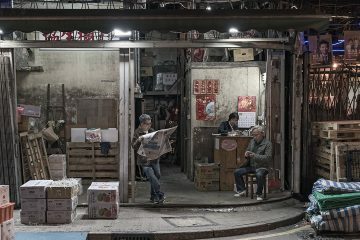 The resulting works pay tribute to the things that fade into the background of Hong Kong life: wheeled suitcases, rubbish bins, cup noodle containers. 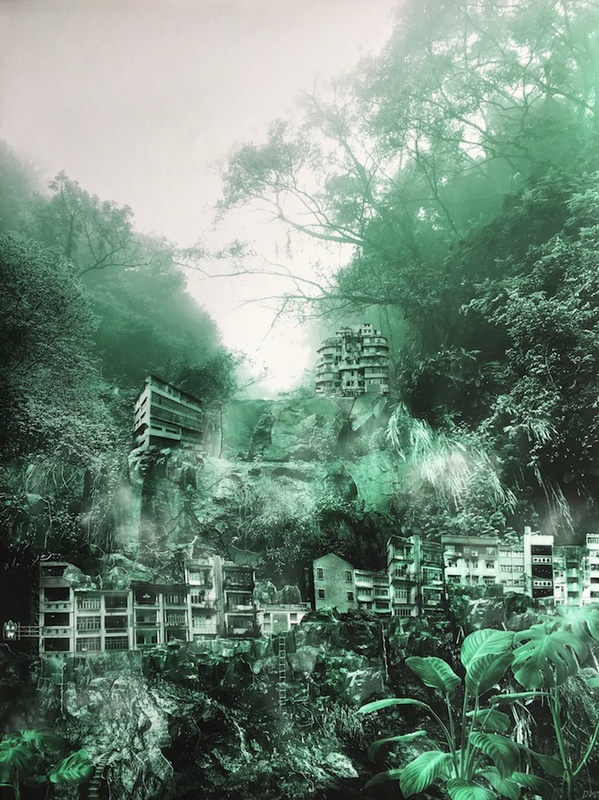 One work, “Cliff Dwellings,” evokes the future ruins of Hong Kong, with tong lau and shophouses nestled into a hill, overtaken by vegetation. Other works were inspired by the museum itself, including Mandel’s first foray into video art. 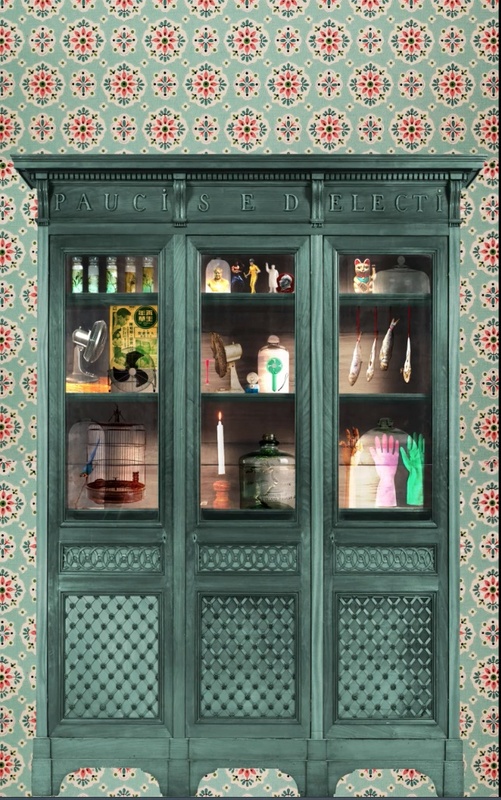 One piece reimagines one of the museum’s storage units as a cabinet of curiosities. “It’s full of mini-stories,” she says. In a way, just like Tai Ping Shan, its landscape marked by past trauma – and a new city that emerged in response. 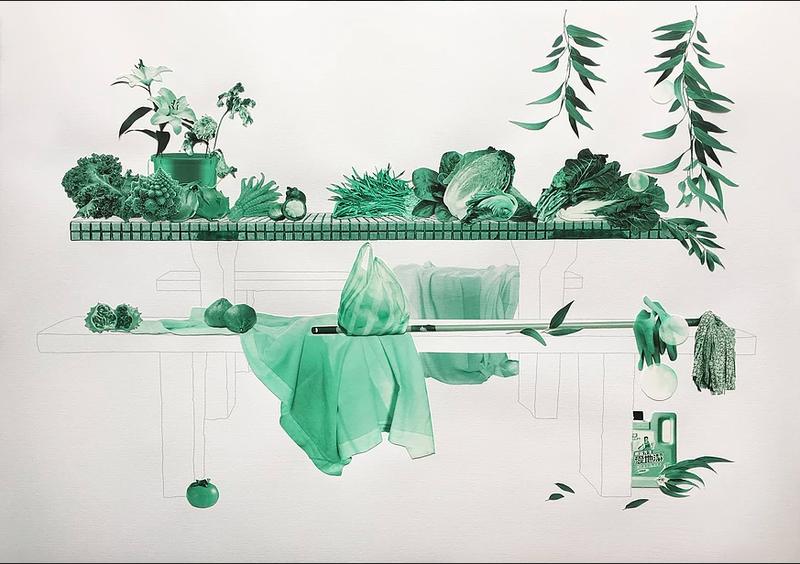 Still Life Comes to Life opens on December 7, 2017 at the Museum of Medical Sciences, 2 Caine Lane, Sheung Wan. Entry to the museum will be free during the vernissage. For more information on the exhibition, click here. For more information on the museum, click here. 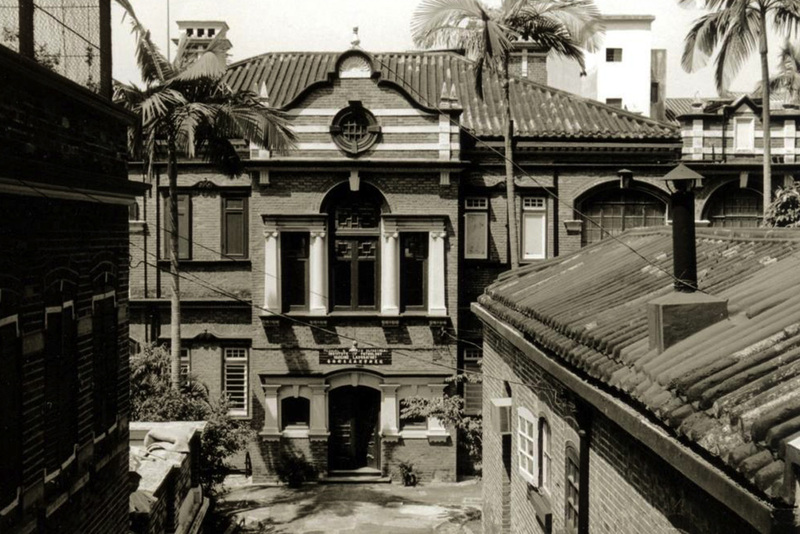 Founded as a laboratory to prevent disease, the Museum of Medical Sciences is now dedicated to the history of medicine in Hong Kong – with some surprising art exhibitions on the side, including a new show by artist Daphné Mandel.